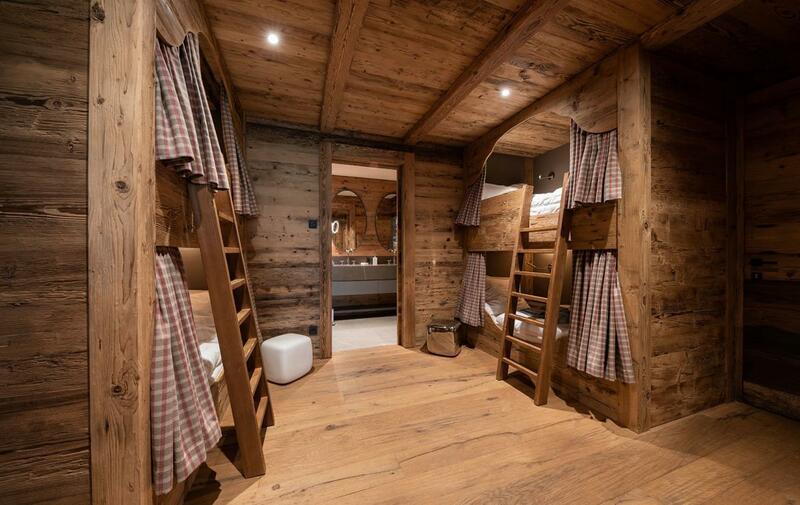 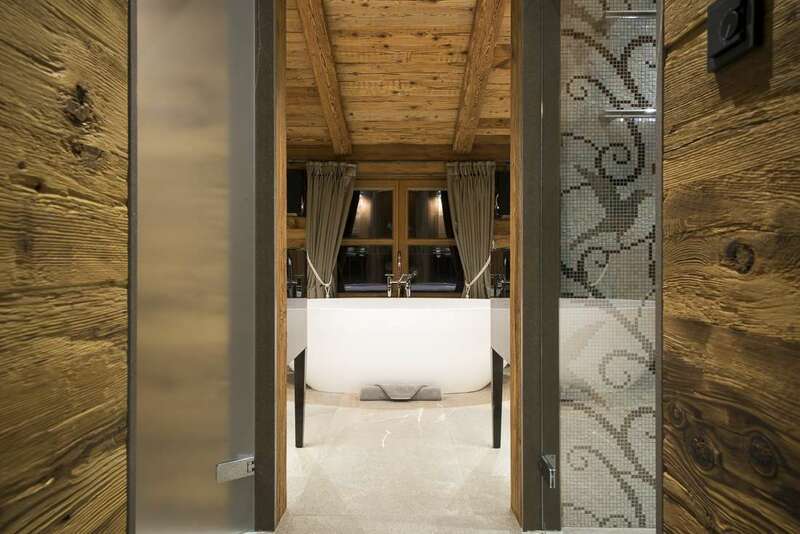 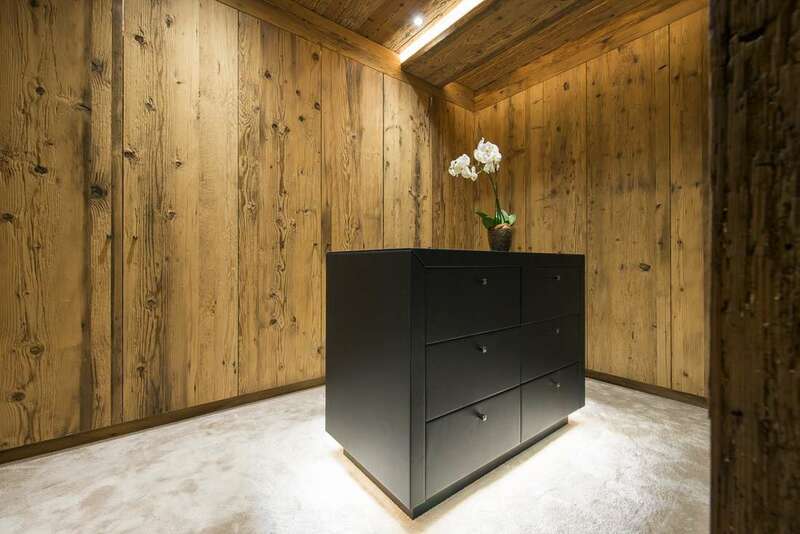 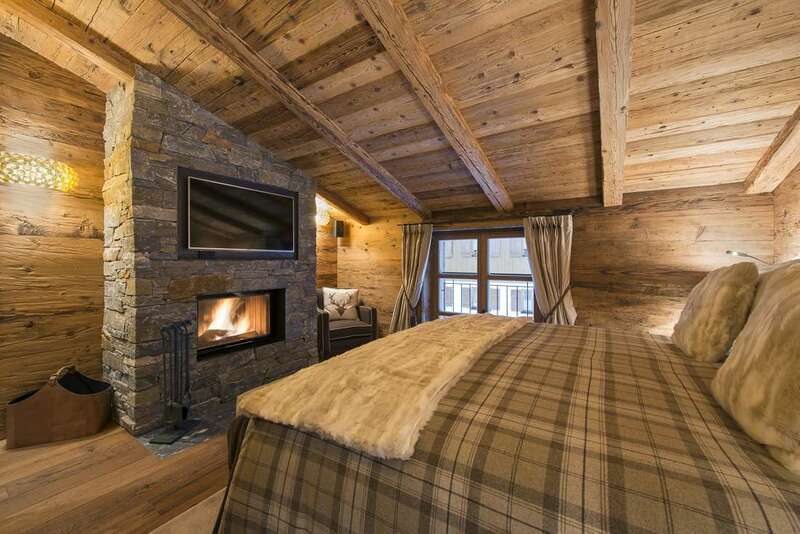 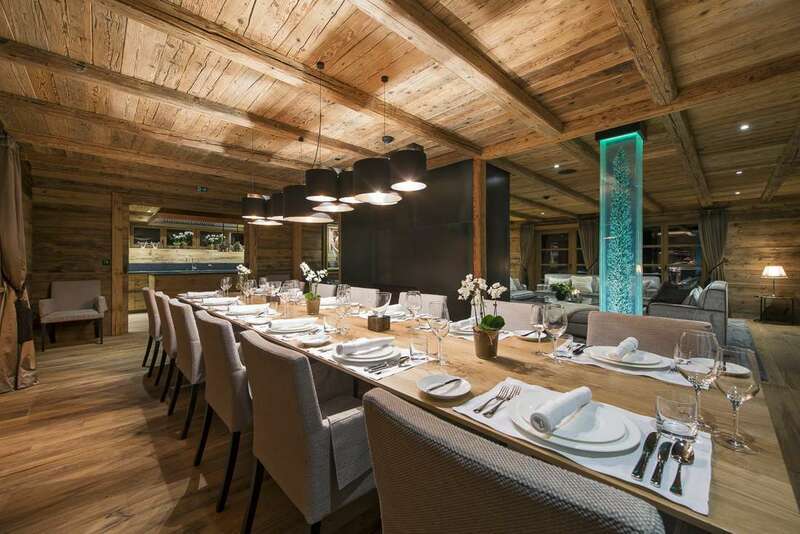 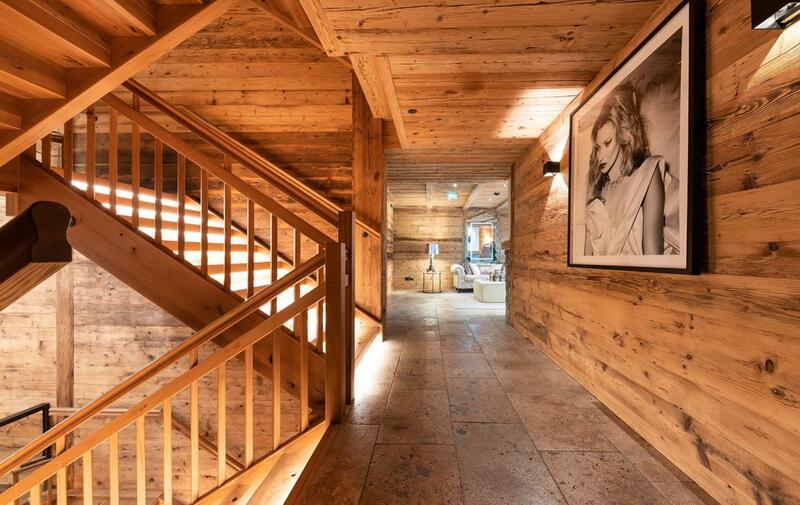 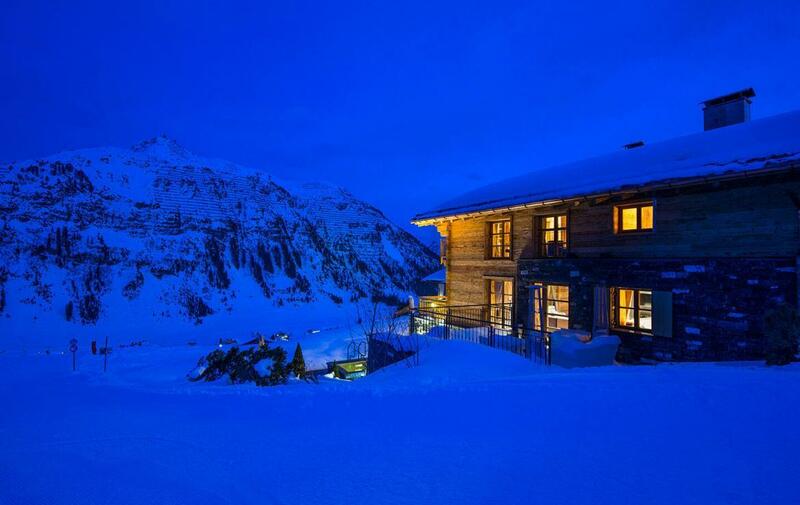 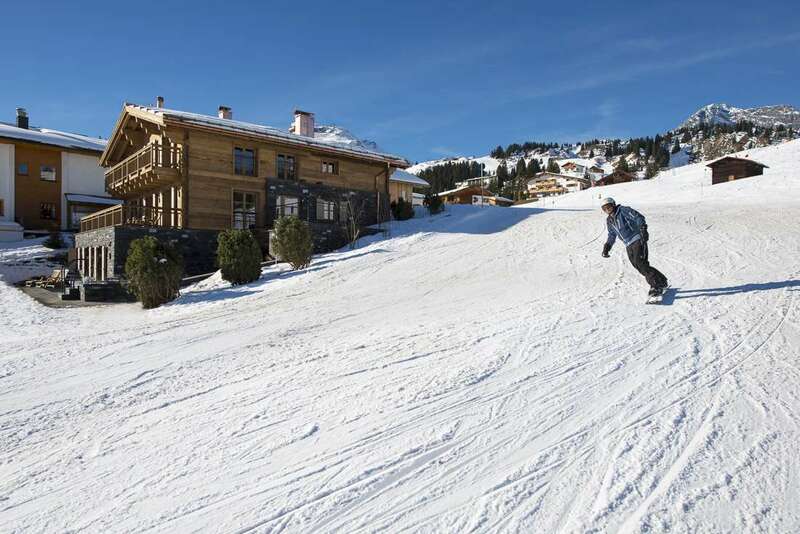 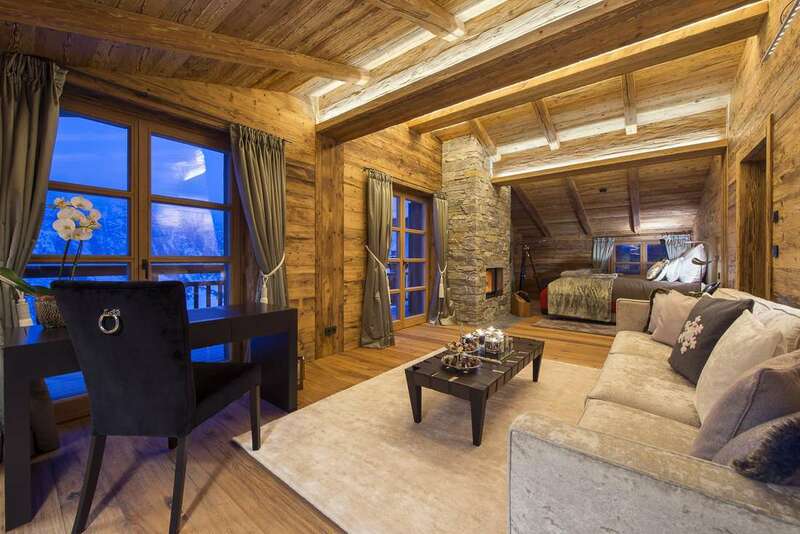 A premier example of Alpine prestige nestled ‘piste-side’ in the majestic resort of Oberlech. 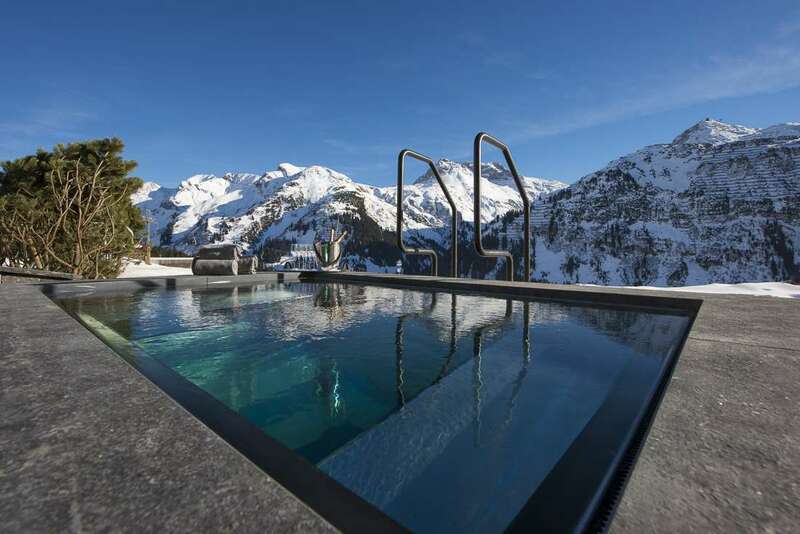 Relish long days schussing tree-lined slopes from a ski-in/ski-out residence sparing no expense in delivering guests directly onto the powder-soft snow. 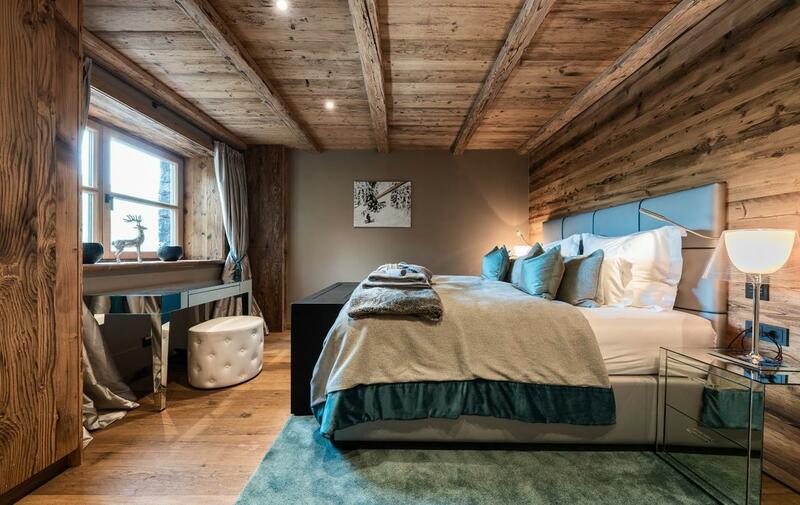 This esteemed residence is the ultimate getaway for families and friends as Überhaus sleeps ten adults and four children in unbridled comfort across four beautifully-presented floors. 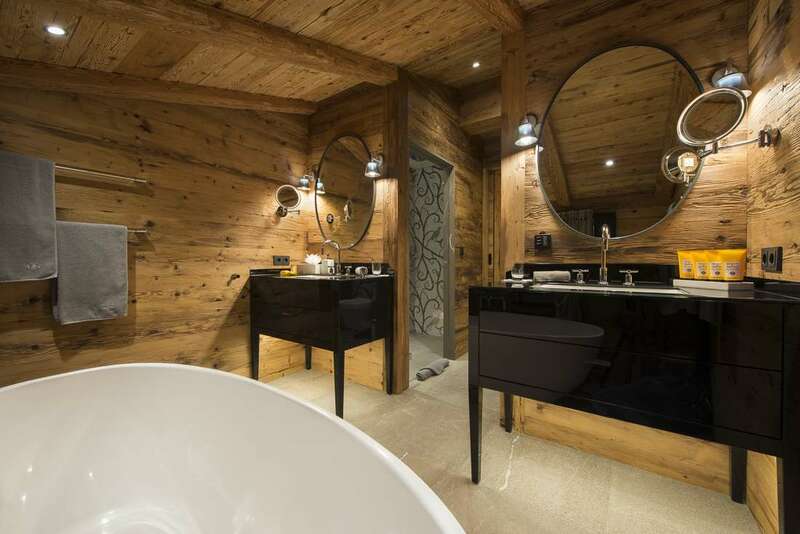 Delightful bedroom suites guarantee a peaceful night’s rest post-energetic days; a well-stocked bar and games room present ample entertainment; while those seeking respite will find serene solace in the tranquil depths of the spa and wellness rooms. 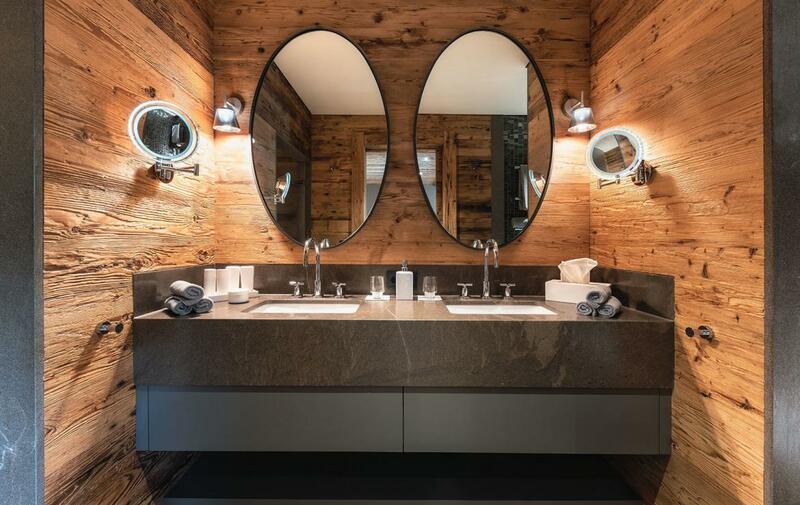 There are few better settings in this stunning village; as Chalet Überhaus presides over Oberlech’s wondrous mountain range. 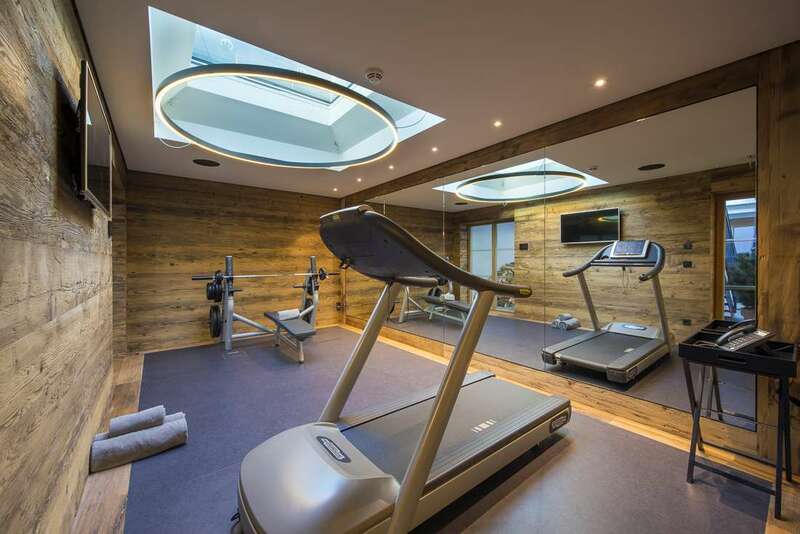 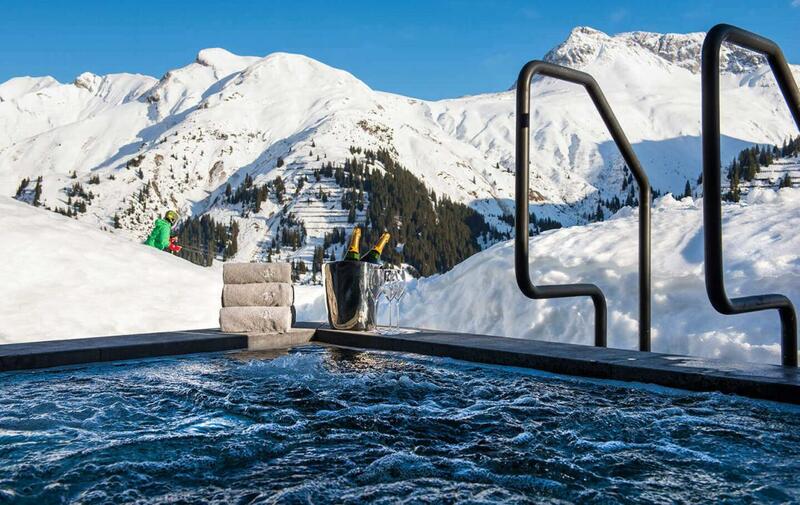 Breathe in snow-capped peaks in unbridled comfort; exercise into the night in the secluded gym; or seek next-level relaxation in the outdoor hot-tub beneath cobalt-blue skies. 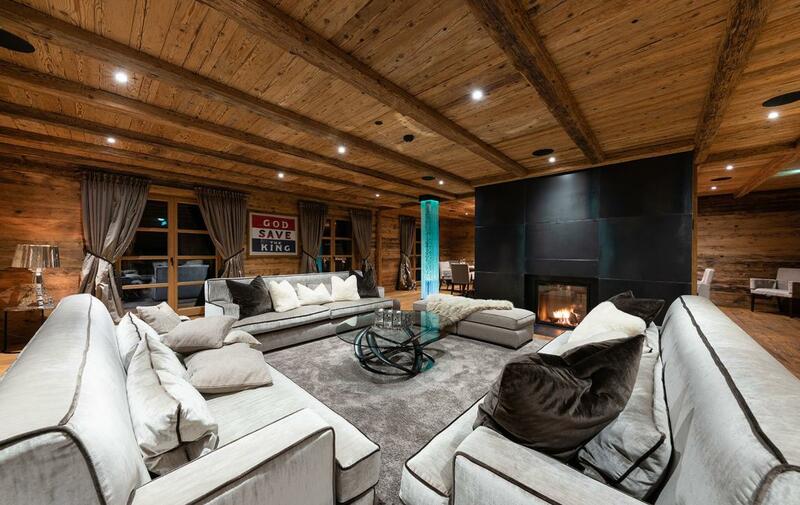 The perfect balance of home comforts amidst getaway indulgence ensures a luxury ski-holiday experience never-to-be-forgotten. 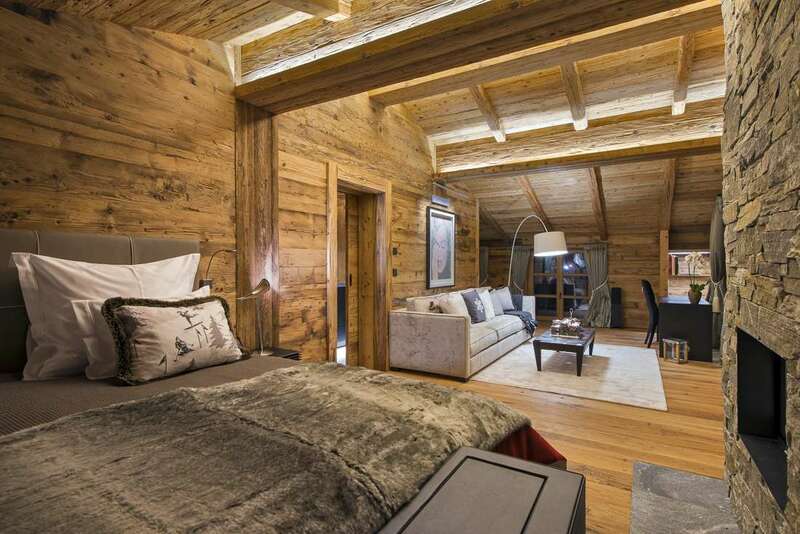 The ground floor comprises the first two stunning family suites, alongside one other peaceful double bedroom. 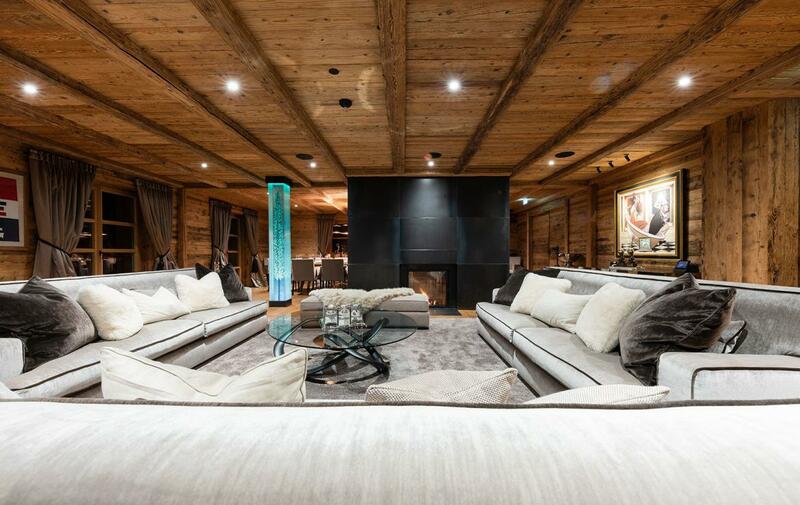 With their own entertainment systems and inviting soft-furnishings, either settle by the roaring fire on arrival or seek immediate indulgence in the embrace of a private hideaway. 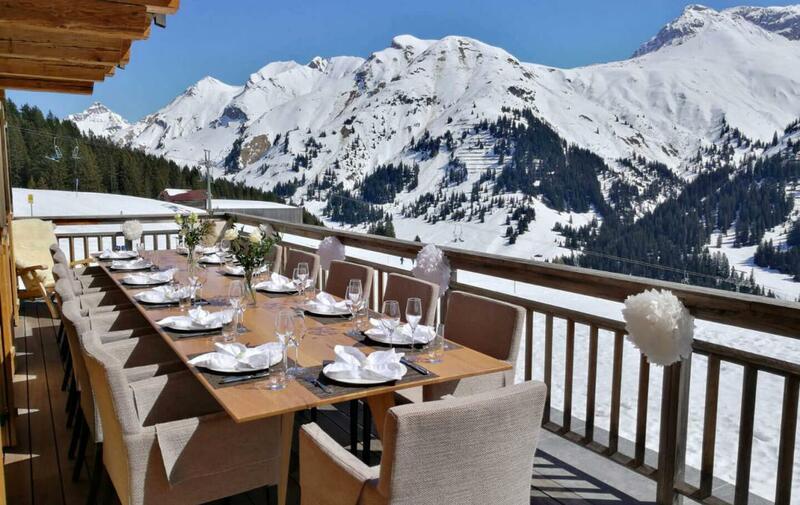 Lavish en-suites, hidden bunks recessed into the rooftops, and access to a sublime mountain-view terrace ensure an idyllic family enclave. 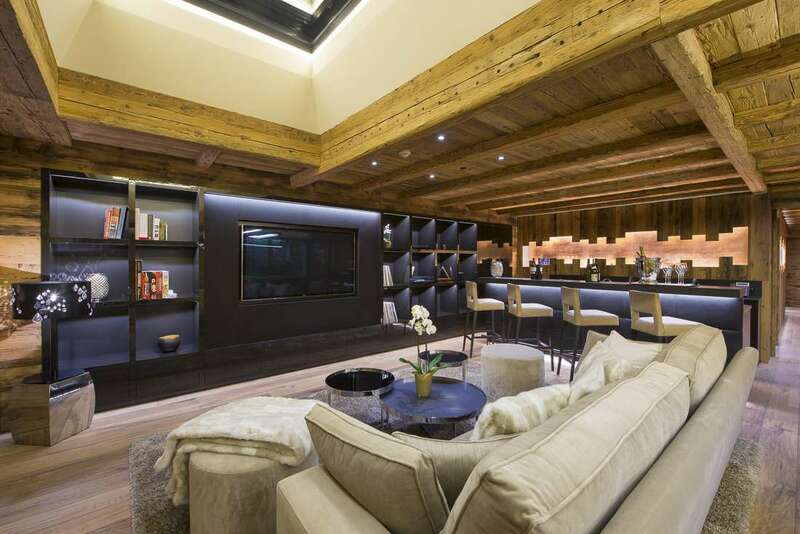 The first-floor spans a striking living and dining space as gentle beams of mountain sunlight dance through floor-to-ceiling windows. 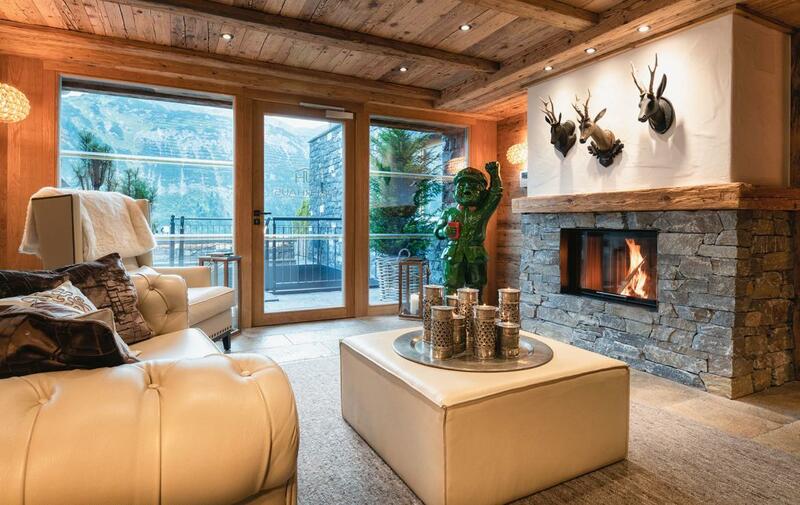 Take a chilled drink to the terrace, settle in front of the crackling fire, or enjoy the serenity of otherworldly environs. 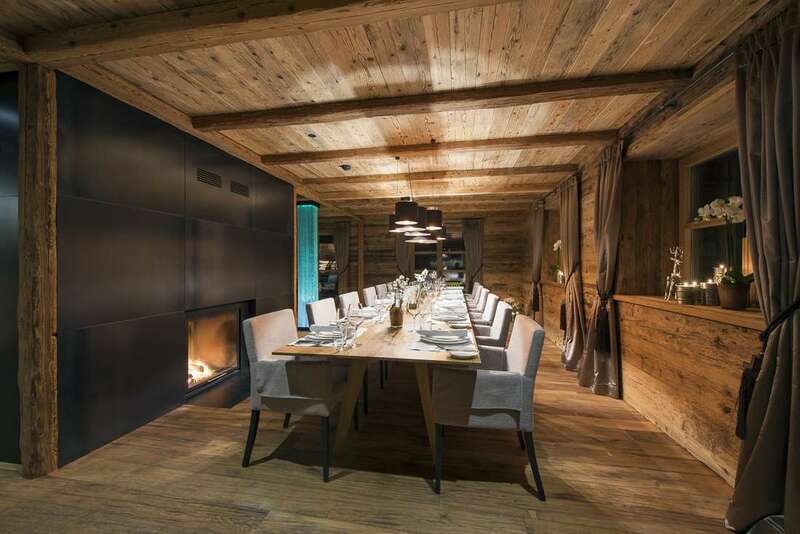 Then, await banquet-style dining at the 16-seater table, ready to test the limits of the wine cave’s offerings alongside sumptuous evening feasts. 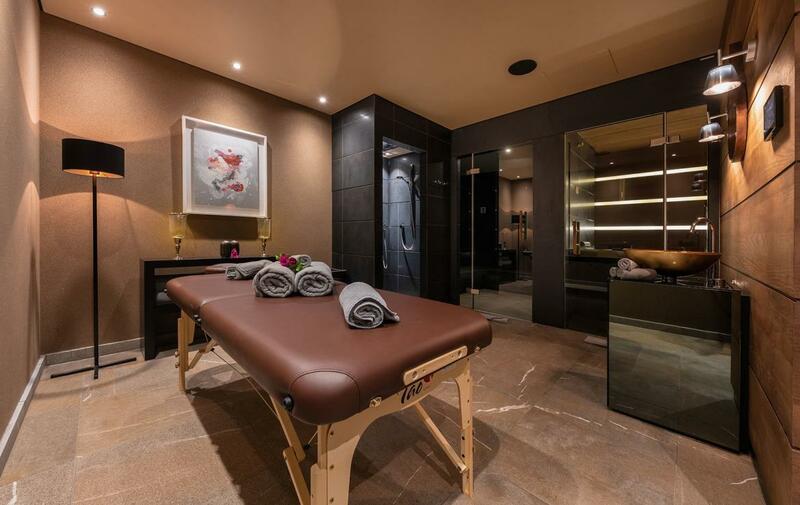 Exclusivity has been preserved for the masters of the abode; the sensational top-floor suite boasts a private living space and a huge dressing room of its own. 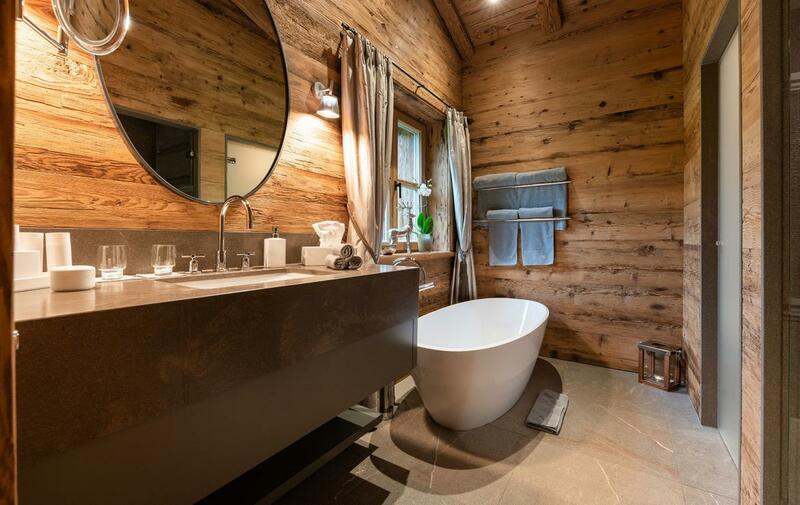 Expect breath-taking views and luxurious indulgence in an ethereal hinterland. 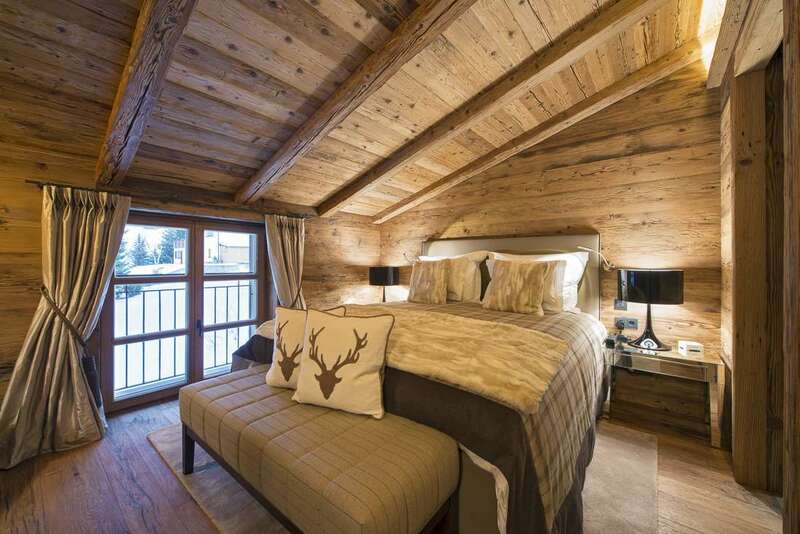 A second double bedroom has the fortune of such heady heights – these are the realms of the fortunate few. 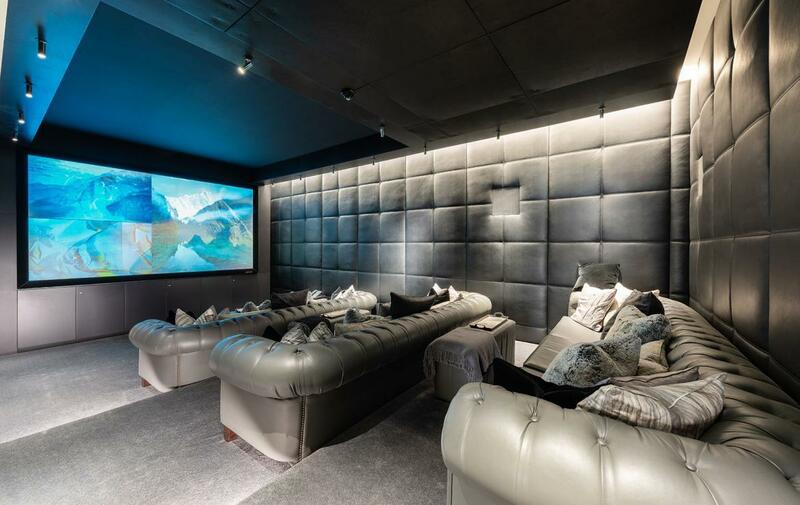 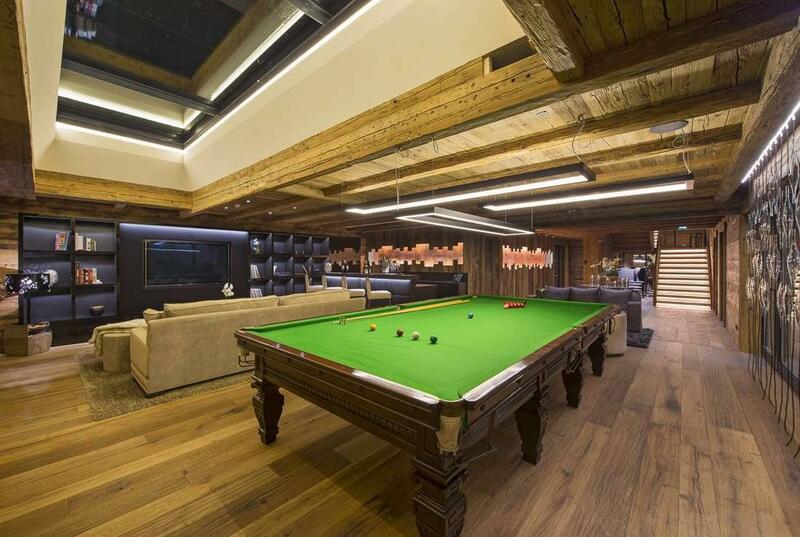 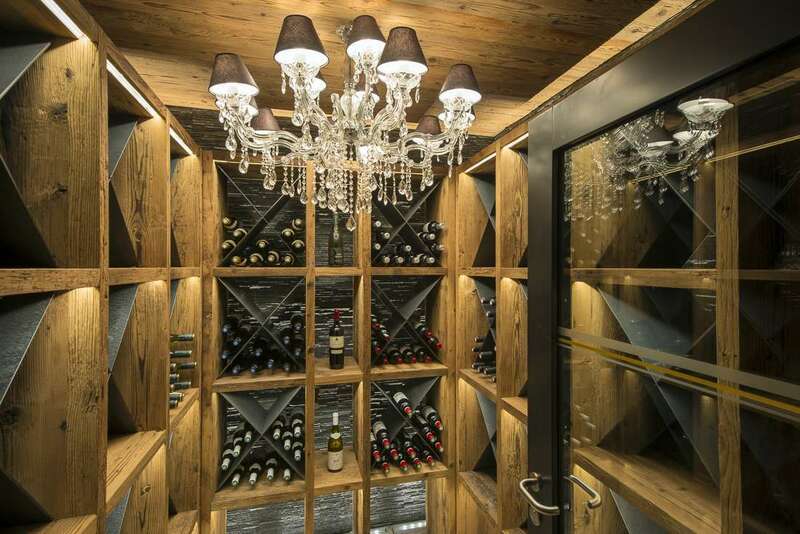 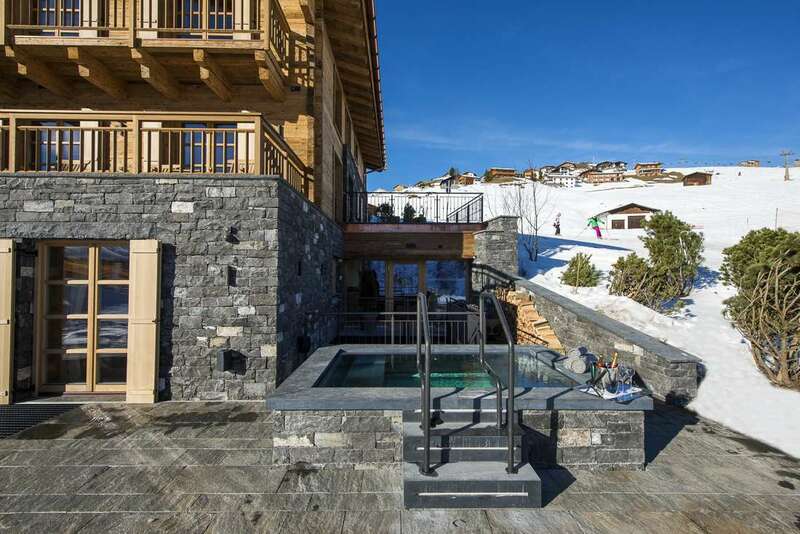 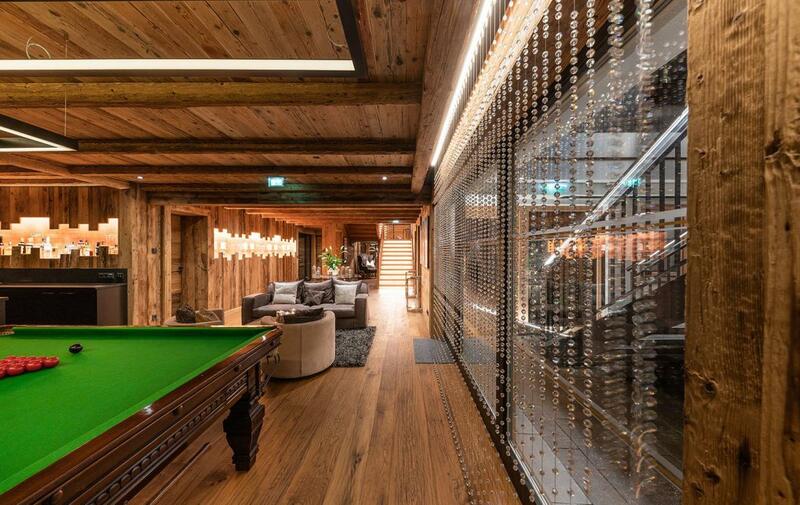 A final surprise and the favourite retreat for many-a- guest; descend into the depths of the enchanting chalet and uncover an impressive wine cave, which neighbours the overflowing bar and full-sized snooker table. 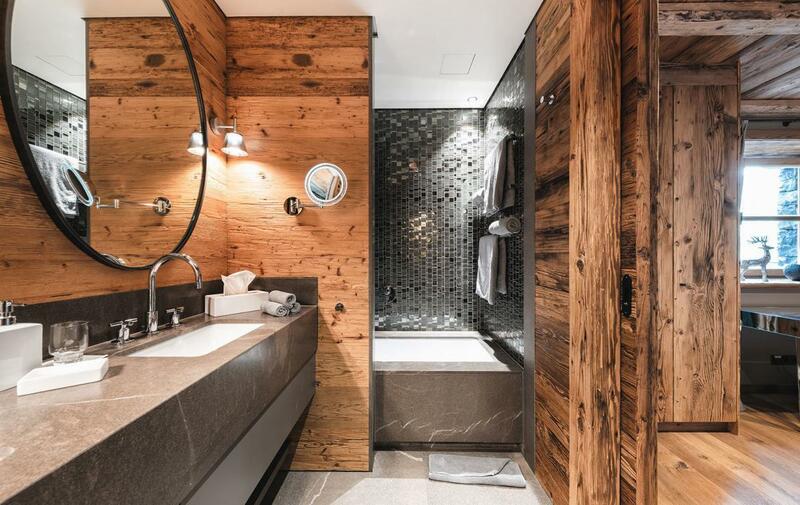 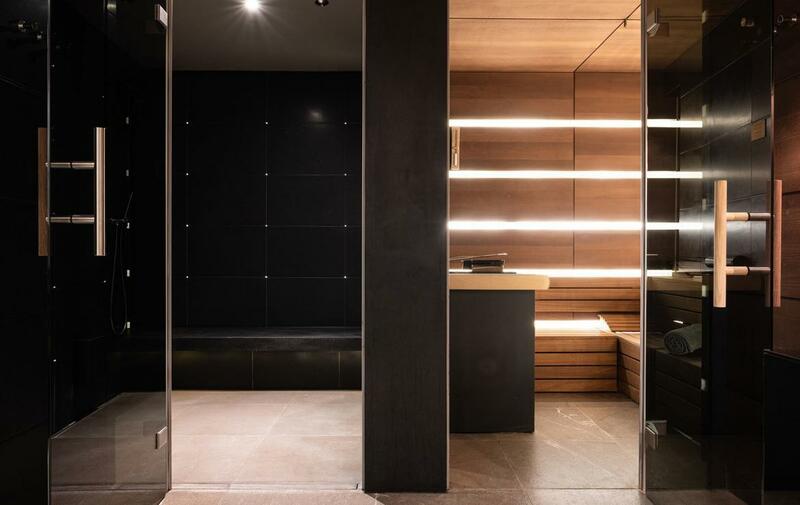 Relax in front of a cinematic screen, head into the ski room in preparation for another day carving beautifully-groomed pistes, or ease weary muscles in the hammam – winding down with a mercurial massage after a sultry spell in the sauna. 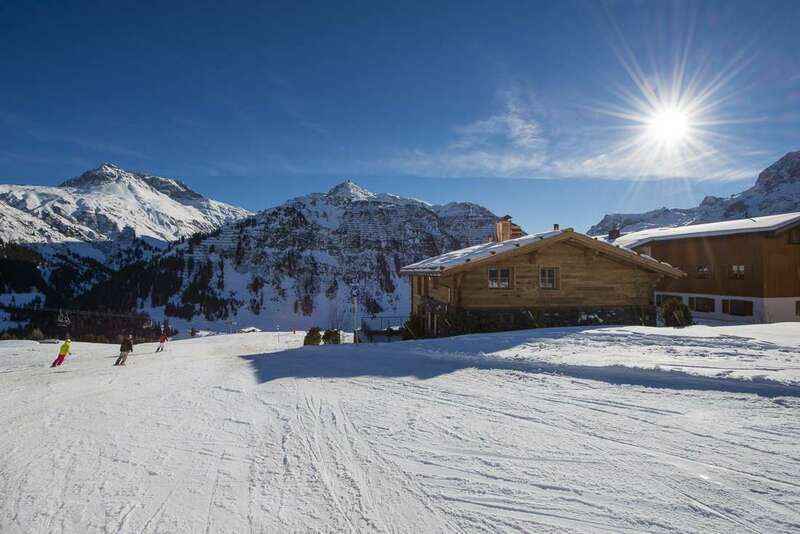 There is one parking space on-site; with further spaces available on demand.